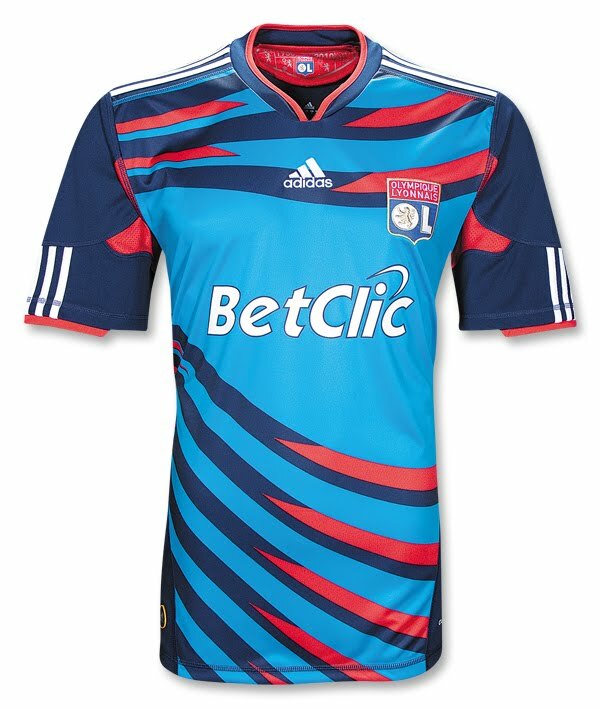 The team of the 2000's in the French Ligue 1 - winners of 7 titles in this decade - has a special shirt which Les Gones will wear mostly for Champions League competitions. The shirt has red, navy, and turquoise swirling in mighty fun psychedelic ways sure to draw much attention from fans throughout Europe. 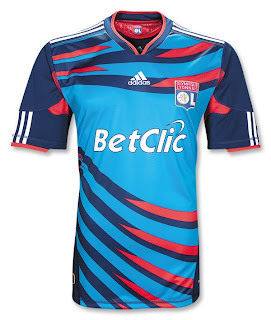 It features the Lyon badge embroidered over your heart with the BetClic logo screened on the front. Made with adidas ClimaCool® - advanced material engineered to reduce heat and moisture build-up, allowing increased comfort and performance – to keep you feeling fresh no matter how long you play, train and cheer on your favorite soccer team!